Dynatrace monitoring is now an integral component of many DevOps teams’ tool chains. No matter if you’re triggering a load test or pushing a new deployment into production, Dynatrace offers the right APIs for ensuring the stability and high performance of your applications. 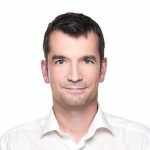 While Dynatrace OneAgent does a great job of deeply monitoring your technology stack, there are certain situations where only 3rd-party systems can provide required contextual information about external events. Dynatrace can leverage 3rd party details to provide you with deeper insights—for example, in automated root-cause analysis. With the introduction of our new Events REST API, Dynatrace now provides a convenient means of seamlessly integrating Dynatrace monitoring into your continuous deployment pipeline or any DevOps automation script. DevOps teams can now automate the push of third-party events to Dynatrace environments and thereby provide valuable contextual details. Context information (for example, the moment in time when a DevOps team triggers a new deployment) can be invaluable in correctly identifying the root causes of auto-detected events in your environment. With the Dynatrace API, you can now enrich Dynatrace root-cause analysis with valuable details, such as links back to deployed packages within your artifactory, or commit ID numbers from your version control system. The following example features a tiny bash script that pushes a deployment event to Dynatrace. This bash script has been seamlessly integrated into a Bitbucket Pipelines project. Following each automated deployment, this script pushes valuable information directly from Bitbucket Pipelines to the corresponding Dynatrace monitoring environment. 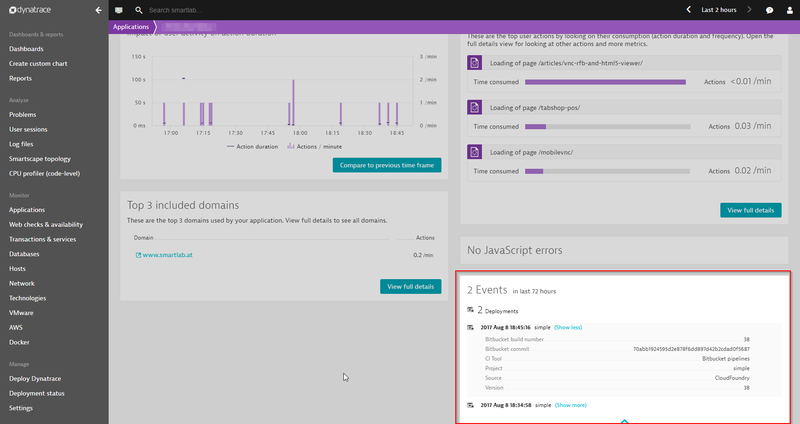 You can see the resulting deployment event listed in the Events section on the related Dynatrace application page. This example illustrates how valuable contextual information can easily be integrated into a DevOps toolchain using Dynatrace APIs. Such information, provided by 3rd-party systems, gives Dynatrace additional insight into the root-causes of detected problems. It’s important for Dynatrace AI that received those events follow defined semantics to avoid generic event spamming. For this reason, we’ve introduced a predefined set of external event types that can be reported by 3rd-party systems, namely, CUSTOM_DEPLOYMENT and CUSTOM_ANNOTATION events. CUSTOM_DEPLOYMENT events should be used to report deployment activity while CUSTOM_ANNOTATION should be used to provide additional comments related to major changes. Stay tuned, as more event categories will be released soon. Ready to learn more about our new Events API? Have a look at the Dynatrace API documentation.